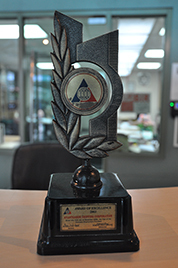 "At AVANTGARDE, we know what we can do best and do best what we can do." 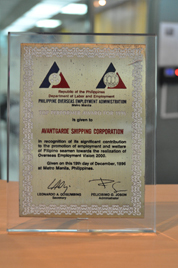 Over the years, Avantgarde Shipping Corporation has built a name for itself as it is one of the best in the manning industry. 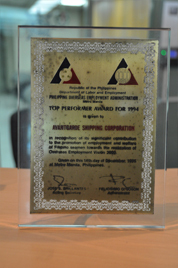 AVANTGARDE has been a consistent POEA (Philippine Overseas Employment Administration) awardee, having received the Top Performer Award in 1993, 1994, and 1996. 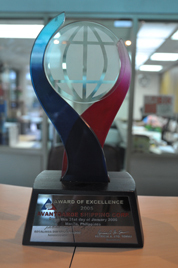 In 2002, AVANTGARDE also received the much coveted Award of Excellence. 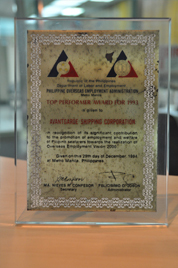 Copyright © 2013, Avantgarde Shipping Corporation. All rights reserved.